On April 12, Ashwin Damera, Executive Director of the Emeritus Institute of Management, will visit Columbia University for a conversation on how his company is using and popularizing SPOCs (Small Private Online Courses). He will share insights on what makes SPOCs different from MOOCs, the future of SPOCs, and where they fit in the higher education landscape. Emeritus partners with leading US universities including Columbia Business School, MIT, Dartmouth, Berkeley and Wharton. Over the last year, 8,000+ students have enrolled in courses offered by Emeritus in collaboration with partner universities with high rates of completion. The Provost’s Conversations on Online Learning (PCoOL) are public talks by leading experts and peers on the future of education, specifically around online education. PCoOL events are free and open to members of the Columbia community with a valid University ID. If you have any questions, please contact vptl@columbia.edu. View our YouTube playlist to access all the Conversations on Online Learning to date. 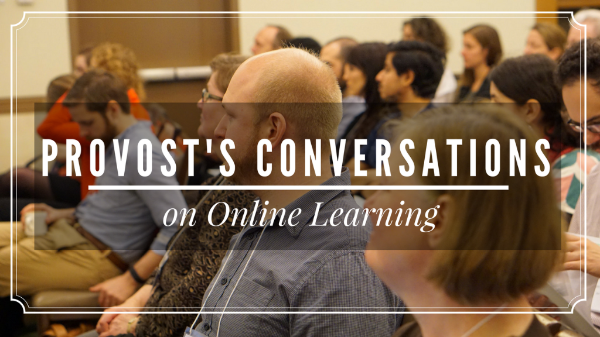 View past seminars and conversations at Columbia University on topics related to online learning on the Columbia Online website. Follow the Columbia VPTL on Twitter.